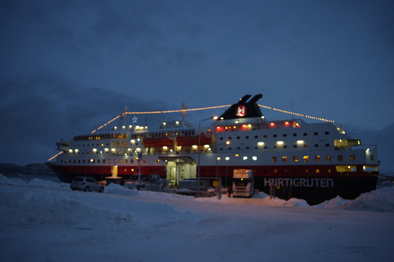 The Nordlys reached harbour at midnight and we slept well last night at a Tromso hotel knowing that our mission to see the Northern Lights had been accomplished. 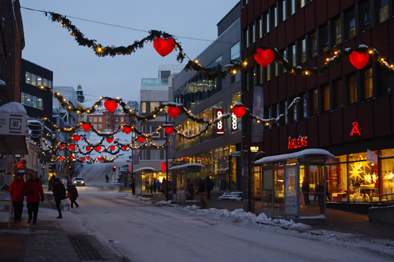 Some members of our company claimed that the lights on occasion reached the brilliant green for which they are noted. I am afraid I must confess that I failed to see this. 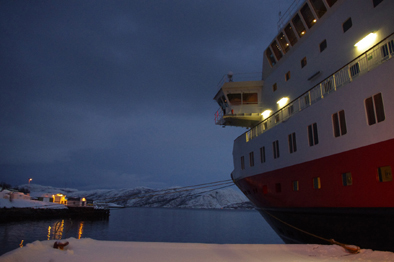 However, I did not stay on the freezing deck as long as most. While I was out there I tried in vain to capture the lights on film but I failed to come to terms with finding the correct settings for my digital SLR. Had I had my old 35 mm film camera with me I would have probably succeeded but at least I can say honestly that I saw the renowned Northern Lights and found them impressive. A coach arrived at one o’clock and drove us to the airport. It had been a very satisfactory trip apart from accidently leaving my ipad behind in the pocket of the aircraft seat in front of mine. There were no further sightings of the Northern Lights the previous night. 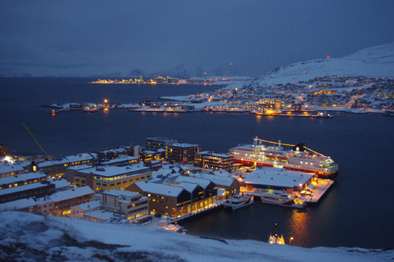 In the morning we set sail for Hammerfest. 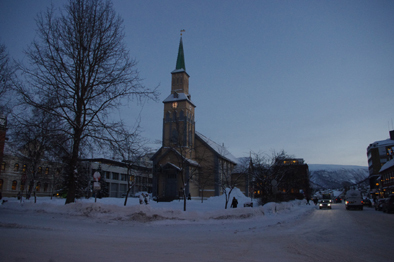 This is supposed to be the most northern town in the world and we arrived here at about eleven o’clock in the morning. 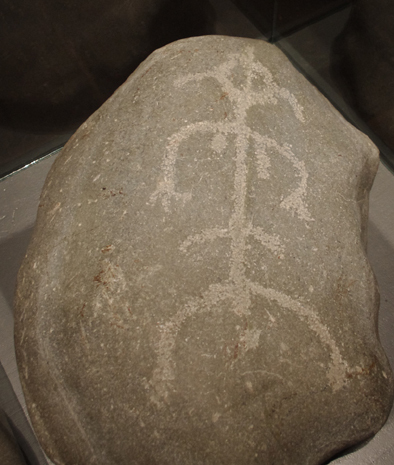 The town has largely been rebuilt in recent years as like Alta it was virtually destroyed by the Nazis in World War Two and the population forcibly evacuated. It became a large fisheries centre and Findus had a factory here. But then Findus left and the town went into decline. However, with the discovery of oil and gas it is now booming with properties reaching exorbitant prices. We disembarked and once again took in a coach sight seeing tour around the town and up into a mountain overlooking the harbour. 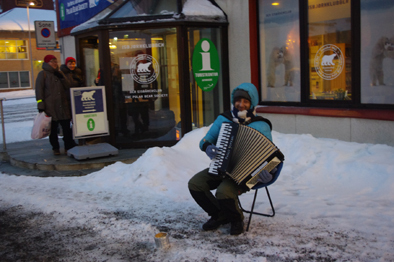 Hammerfest Busker outside the Tourist Information Centre and Polar Bear Society. 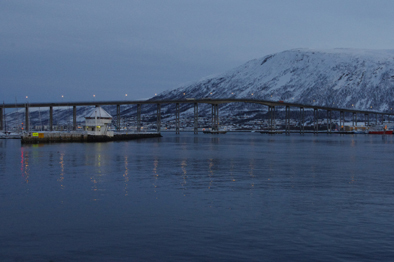 We left Hammerfest at 12.45 and headed back towards Tromso where we were told the sky should be clearer and there was a greater chance we would get another glimpse of the Northern Lights. Then low and behold we saw them as a faint creamy swirling glow in the night sky.